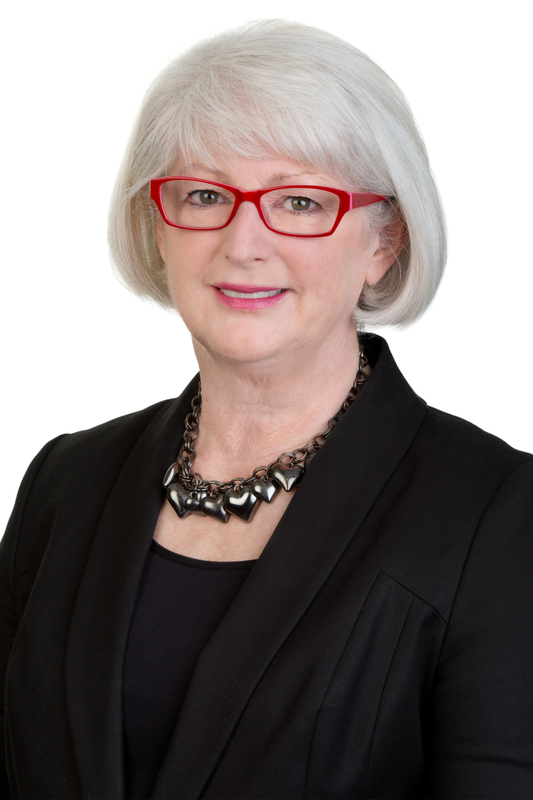 ACECQA’s National Education Leader, Rhonda Livingstone shares her insight into National Quality Framework topics of interest. The National Quality Framework (NQF) provides a national approach to quality improvement for education and care services across Australia. A key objective of the NQF is to promote continuous improvement in the provision of quality education and care services, with one of its six guiding principles focused on the expectation that best practice underpins service provision. Self-assessment is fundamental to an effective cycle of quality improvement and is essential to providing quality outcomes for children and families. It is an important first step in the quality assessment and rating process, incorporating continuous self-assessment, the development and implementation of a Quality Improvement Plan (QIP), assessment and rating by the state or territory regulatory authority and the publication of quality ratings, which aims to raise quality and drive continuous improvement and consistency in education and care services. All education and care services must complete self-assessment to inform the development of a QIP. The Education and Care Services National Regulations (Reg.55 (1) (a)) requires the approved provider of an education and care service to prepare a QIP, which includes assessment of the quality of practices against the NQS and the regulations. The need for an effective self-assessment and quality improvement process to support continuous improvement is also recognised in the National Quality Standard (NQS). Element 7.2.1 aims to support services to regularly monitor and review their performance to guide planning and improve service quality. Self-assessment is about critically reflecting and evaluating your service practice, recognising strengths and identifying opportunities for improvement. It should provide an honest account and informed picture of your unique service context, your current practice and the quality of education and care experienced by children and families attending your service. 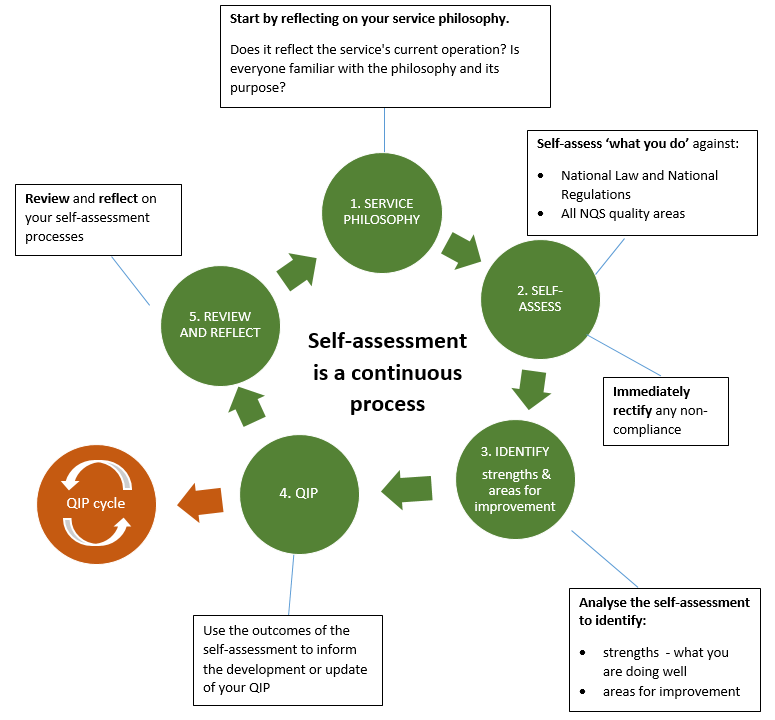 The self-assessment process is the starting point for determining and planning quality improvements within your education and care service. The outcomes of your self-assessment should directly inform the development of your QIP. There should be clear links between your service’s self-assessment documentation and identified priorities for attention in your QIP. Remember: Your self-assessment identifies areas for improvement and your QIP can then be used to prioritise these improvements. It is important that all members of your education and care service community have an awareness of the process and requirements of self-assessment. Moreover, how this process directly informs, shapes and prioritises your service’s unique narrative, and ongoing journey, of quality improvement. The diagram below provides a useful visual reference detailing the self-assessment process. It shows self-assessment as a comprehensive cyclical process involving five steps: critical reflection of your service philosophy, self-assessment of service practice against the NQS and the regulatory requirements, identification of strengths and opportunities for quality improvement, transferal of outcomes of the self-assessment to inform the development or update of your service QIP and review and reflection of the self-assessment process. This diagram, and further information on the role of self-assessment in driving reflection and determining quality improvements, can be accessed within ACECQA’s Self-assessment Tool. It is important to remember that while it is not a requirement that self-assessment documentation is submitted to the regulatory authority, you must be able to demonstrate that the self-assessment has informed the development and review of the QIP. ACECQA, in response to sector feedback, has developed a Self-assessment Tool to support education and care services to document their unique story of continuous quality improvement. The Self-assessment Tool is a free optional resource suitable for all service types and provides a ‘starting point’ for planning to improve quality outcomes for children and families. Services may choose to apply or adapt the Self- Assessment Tool in a way that meets the needs of their unique service context. The Self-assessment Tool offers a process aimed at helping services to identify strengths, areas of compliance, practices that are Exceeding the NQS, and areas and opportunities for quality improvement. It is also designed to complement and contribute to the development, review and update of your service QIP. The ACECQA Information Sheet Developing and reviewing your Quality Improvement Plan provides more information on the link between these documents. The Self-assessment Tool provides one approach to documenting your quality improvement journey. However, it is important to remember that use of the ACECQA Self-assessment Tool is not a mandated requirement and approved providers, service leaders and educators are encouraged to choose a process and format that suits their unique service context, community, and self-assessment and planning approach. Note: An optional Quality Improvement Plan (QIP) template is available on the ACECQA website for download. The template has recently been updated to include the three Exceeding NQS themes and quick links to resources for each NQS quality area. Self-assessment requires all members of your service team to understand the NQS and the related regulatory requirements to effectively reflect on and evaluate current service practice, policies and procedures. The Guide to the National Quality Framework is a comprehensive reference document designed to help education and care providers, service leaders, educators and authorised officers understand and apply NQF. It is a vital tool in supporting the self-assessment process within your service. Section 3 of the Guide provides useful information on the assessment and rating process – including self-assessment and quality improvement. 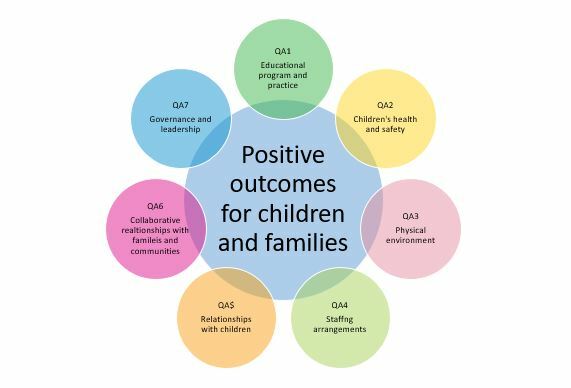 This section also provides a guide to the NQS including introductory statements for each quality area, standard and element that describe the intent and how practices contribute to quality outcomes for all children and families. The guide to the NQS references regulatory requirements underpinning each element and includes a set of reflective questions, for each standard of each NQS quality area, that serve as useful prompts and a natural starting point for critical reflection on the ‘how’, ‘what’ and ‘why’ of your service practice. What else could be considered? Service data e.g. incidents, complaints, maintenance registers etc. Feedback from regular surveys provided by children, families, educators and/or the broader community etc. Remember, the ACECQA website is a useful repository of free and easily accessible information that can help you to navigate and implement the NQF. Aristotle reminds us that ‘we are what we repeatedly do. Excellence, then, is not an act, but a habit’. Under the NQF, education and care services are encouraged to continuously focus on quality improvement. Continuous improvement, as the name suggests, involves constantly re-examining and improving practice – finding a rhythm that works for your service and making change for the better. Remember, continuous improvement isn’t about setting a high pace – some of the biggest differences can be made through small, incremental improvements done consistently. A key strength of the NQF is that it supports education and care services to commit to best practice and engage in ongoing critical reflection and self-assessment (as a matter of habit) to inform professional judgements and drive continuous quality improvement. Importantly, these regular habits or patterns of behaviour, when engaged in with mutual respect and collaboration, can assist in establishing a positive organisational culture focused on quality and improved outcomes for children and families. Self-assessment is fundamental in planning for and moving towards quality improvement. Without such processes, it is difficult to gain a clear, authentic picture of what you do well and identify the areas that should be prioritised for quality improvement. However, while self-assessment is often a ‘starting point’ for reflecting on and improving current practice, it is not an ‘end point’ finalised once current service practice has been evaluated. To be most effective, self-assessment should be a continuous, regular and systematic process of critical reflection. This requires an ongoing commitment on behalf of education and care services and teams to attend to critical reflection, analyse practice and be open to the possibility of change motivated by quality improvement and the best interests of children and families. How this is reflected in practice will look different for each service. The National Regulations (Regulations 55 and 56) require the approved provider of an education and care service to prepare, review and revise a QIP. However, it is not expected that they are solely responsible for all the work, decisions or outcomes. Rather self-assessment and quality improvement planning will benefit from being a shared and collaborative process engaging everyone: the approved provider, nominated supervisor, service leaders and management, coordinators, educational leaders, educators and other service staff. Your service’s journey of self-assessment and quality improvement should also provide an opportunity for collaboration with and input from children, families and the broader community. Each member of your service team, families, children and the community will bring different perspectives, opinions and perceptions and have something unique to offer. A continuous, regular and systematic process of critical reflection and self-assessment can provide a rich opportunity for professional development, learning and the building of professional competency within your service. When conducted as a collaborative process of professional inquiry, self-assessment can support educators to more confidently articulate practice, share ideas, pedagogical beliefs, knowledge, and opportunities for improvement at your service. Further, a regular and coordinated approach to self-assessment can build a spirit of collegiality and professionalism, support the building of shared professional knowledge, understanding and skills and the development of shared goals and vision. When all members of an education and care service have consistency of purpose and understand what is guiding their practice, they can work together for continuous quality improvements to enhance outcomes for children. Is a commitment to ongoing self-assessment and continuous quality improvement reflected in your service philosophy? Is self-assessment an ongoing, regular and systematic process? If not, how could practice be adapted? Are all members of your service community invited to have a voice, participate in and be represented in the self-assessment process? How do your self-assessment processes support educators to confidently articulate professional knowledge, values and practice? How does your self-assessment process support professional collaboration (element 4.2.1)? How are self-assessment and a focus on continuous quality improvement embedded into your service culture? ACECQA We Hear You Blog – Five part series: The cycle of self-assessment and continuous improvement: What do you need to consider? 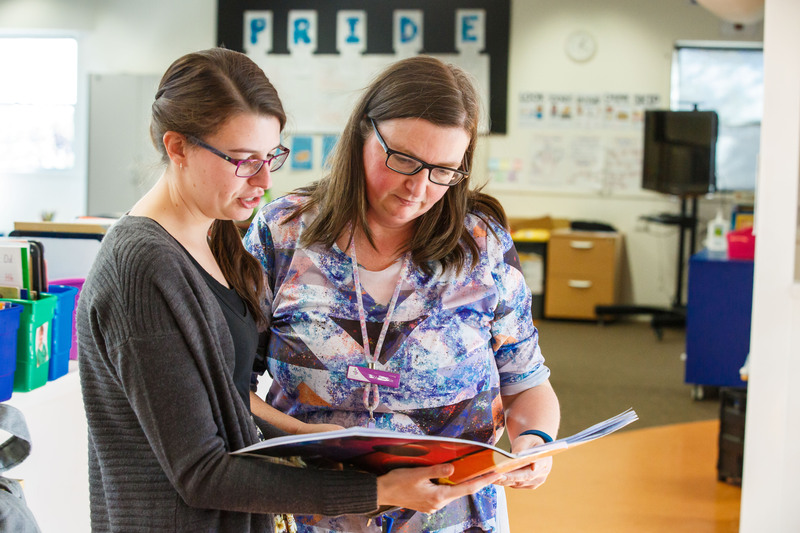 Donna Morley, Director of KU Lance Children’s Centre, explains why educators should embrace professional learning opportunities to inform the way they critically reflect. KU Lance was awarded the Excellent rating by ACECQA in March 2018. ‘Critical reflection’ is a common phrase in early childhood education that can often be misinterpreted and underestimated. As a Centre Director, I have run into experiences where staff have advised me that they have completed their critical reflection on children’s learning and the program, when in fact they have simply stated what happened during an activity or perhaps observed some progress in the child’s development and planned a new experience based on their observations. While these are all expectations of the planning cycle, critical reflection involves higher order thinking, drilling down and using multiple perspectives and creative thinking. These aspects are often missed by educators and are sometimes challenging to understand and use. In my experience, it takes both time and getting to know the other educators in your team, to develop the skills, understanding and motivation to truly embrace and undertake critical reflection. Critical reflection in an education and care service is multifaceted, and involves thinking about all of your practices and procedures with honesty and purpose. There is a level of bravery required to be able to identify the need for change within your service environment. As humans, we are sometimes content with familiarity, predictability and some of us do not like change. Critical reflection means being ready for change, willing to challenge yourself and others and being able to adapt. So how have I developed the skills to critically reflect, and how have I promoted these skills within my team? One example that I’d like to share with you, is when I eagerly snapped up the opportunity to join a group of educators from a range of services in a KU Professional Learning Community (PLC). We initially came together to learn about the work of Ann Pelo and use her methods to examine our work with children. 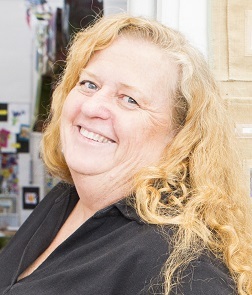 Ann is known amongst early childhood educators for her unique perspective on challenging predefined practices and shifting the focus ‘from instruction to inquiry’. With a facilitator in the group, we began sharing the same children’s book with each of our classes to explore the practice of ‘researching with children’. At our meetings we would share our critical reflections of the children’s responses. 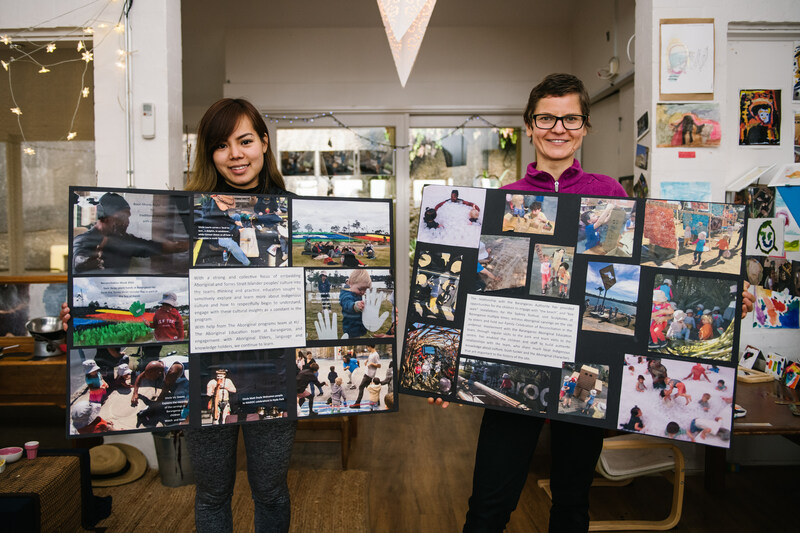 Essentially, we told the stories of what the children had developed around the book, the stories of their artworks, their buildings and their discussions. As the PLC got to know each other, built trust and confidence and settled into this new meeting and sharing routine, we were encouraged, challenged and sometimes unsettled by provocations from our PLC facilitator. The PLC facilitator provided academic readings that assisted us to drill down deeper into the critical reflection of our work, and the work of the children. As there was a heightened level of trust between members of the PLC, we drew inspiration from each other and found that having a group who respected, listened, considered each other’s perspectives and looked to external sources for challenge, was very valuable in the development of our own critical reflection strategies. After seeing Ann Pelo at the KU Conference, and spending an intensive five days at a writing workshop with her, the PLC plunged into some intense critical reflection around children’s learning as well as our own practice. Ann gave us permission to become involved in the children’s learning stories, to make this work personal and to think outside the square. At times it was terrifying, and I was thankful that we had each other for support. We took our learning back to our service teams, inspiring them to think beyond the obvious, to dig deeper, and to be brave in their own critical reflection of their teaching practices. Some of the PLC changed jobs, or took on new roles within KU, however, we committed to make our PLC meetings a priority. The meetings continue to renew our purpose and vigour, and provides us with the ability and support to think differently about working through various issues and obstacles. The reality for many early childhood professionals is one of professional isolation, where the opportunity to discuss children’s learning at a level of deep understanding and theoretical exploration is rare. It has been a privilege to be involved in a group who can share stories, experiences and insights so generously. My involvement reinforced the value and benefit of professional learning communities. The value of working within a trusted community of learners who are similarly educated and have a range of perspectives and experiences has been incredibly positive. The benefit to my own team and the children of the service has also been extraordinary. Our ability to critically reflect on a more profound level continues to develop. The initial work with Ann Pelo’s approaches empowered staff to be brave and to dig into the unknown, to explore practitioner research alongside children and trust each other more, in a combined effort towards improvement in our practice. The results have been amazing, and in 2018 our service was awarded the Excellent rating by ACECQA which I believe was a direct result of continued critical reflection instigated by a small group of educators who formed a PLC and embraced courage. Mealtimes at education and care services offer many rich opportunities to promote positive outcomes for children. Positive mealtimes are not only about nutritional requirements – they can shape children’s learning, development, health and wellbeing. They involve every child enjoying nutritious and culturally appropriate food and snacks in a social, responsive, pleasurable, safe and educative environment. They also demonstrate outcomes from each National Quality Standard (NQS) quality area. I encourage you to view your current mealtimes with a positive mealtime ‘lens’ and use these reflective questions to inspire conversations with your team. 1. Does your physical environment promote positive mealtimes? The physical environment (NQS Quality Area 3) influences quality practice and has a significant impact on mealtimes and the potential for social interaction, learning, inclusion, safety, and wellbeing. The change in mood when we eat outdoors is a perfect example of this impact. The components of this physical environment are broad, including everything from table and chair arrangements and table settings to noise levels and serving utensils. Each service has a unique environment, and few have access to purpose-built, family-style dining areas. Food may also be brought from home to be eaten at the service. In outside-school-hours care services, food may be eaten on a bench or in a hall that requires daily transformation. Mealtime location: Does it promote a sense of belonging? Does it support mealtimes being social and relaxed occasions where children have time to eat, choose and interact, or does it uphold mealtimes as a rushed routine? Is the environment child-centred? Do furniture and utensils suit different ages and sizes of children? Does the space accommodate children’s developing skills and independence and the inherent ‘mess’ that can sometime come with it? 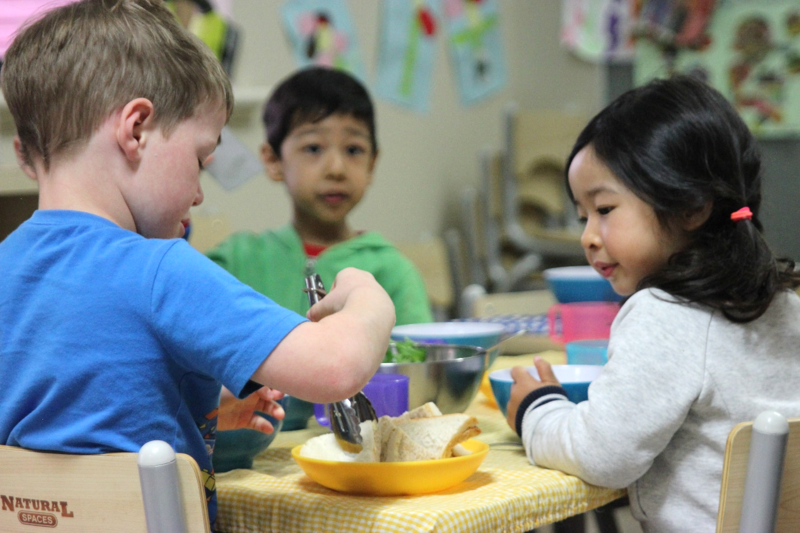 Inclusion: Can each child access, participate and engage in mealtimes? Does the environment reflect and respect children’s needs? Table settings: Do table and chair arrangements promote social interaction and engagement between children and between educators and children? Do table settings support mealtimes as an occasion? Agency: Does the environment promote children’s agency and self-help skills? E.g. setting tables; finding their place; sharing food; serving food; processing waste. Connection to the broader food environment: Is there a connection between mealtime and other food environments? This connection could be physical (e.g. the dining area is next to the kitchen; garden produce is used in meals); social (e.g. the cook has a relationship with children and educators; garden produce is shared with families); or through the educational program (e.g. the kitchen, garden, mealtimes or composting are used for learning experiences). Transitions: Are transitions to and from mealtime environments respectful to children and calm? 2. Do mealtimes nurture relationships? Secure, respectful and reciprocal relationships are fundamental principles of the approved learning frameworks, and relationships between children and with children are integral to NQS Quality Area 5. Connections with others support the development of children’s identity and social and emotional competence. 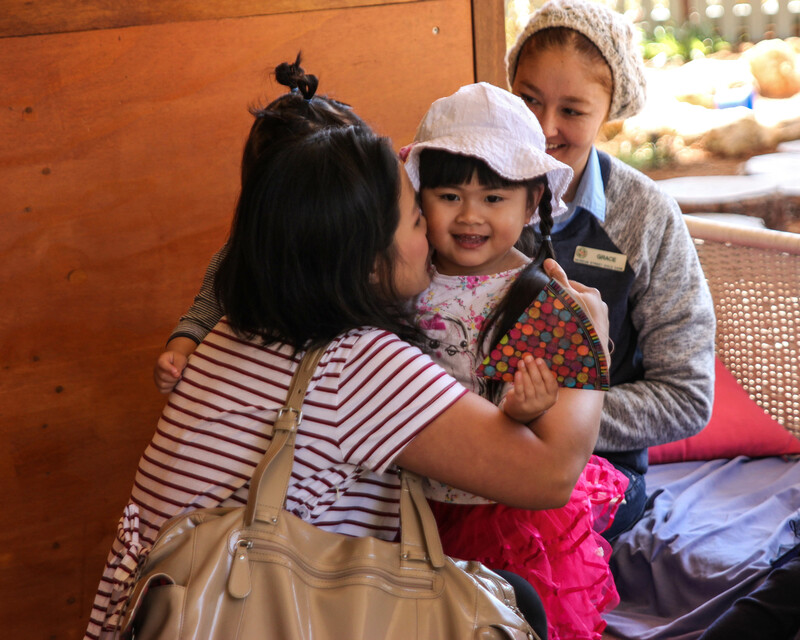 Research has confirmed the nature, quality and consistency of interactions between educators and children is one of the most important influences on quality education and care. 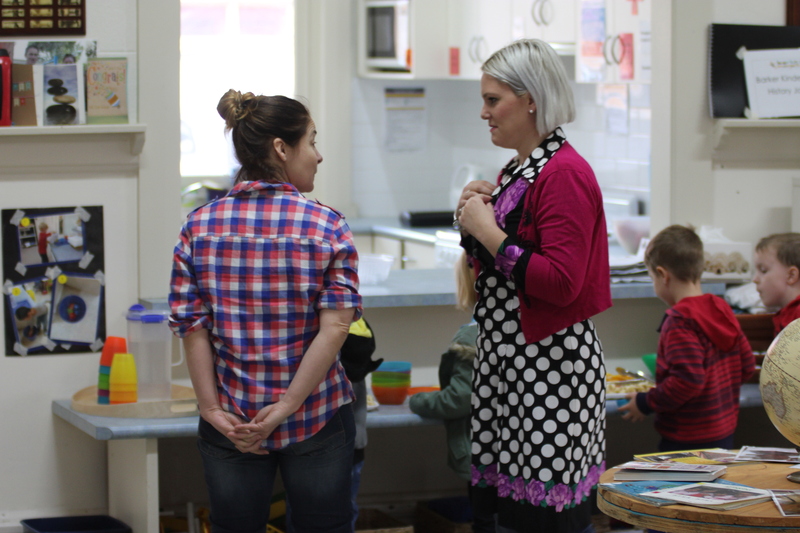 Mealtimes are intrinsically social and offer regular opportunities to have positive interactions, build secure relationships, learn from one another, provide emotional support, promote language and inspire learning. Positive interactions: Educators who consistently model positive interactions and mealtime skills will support children’s development. 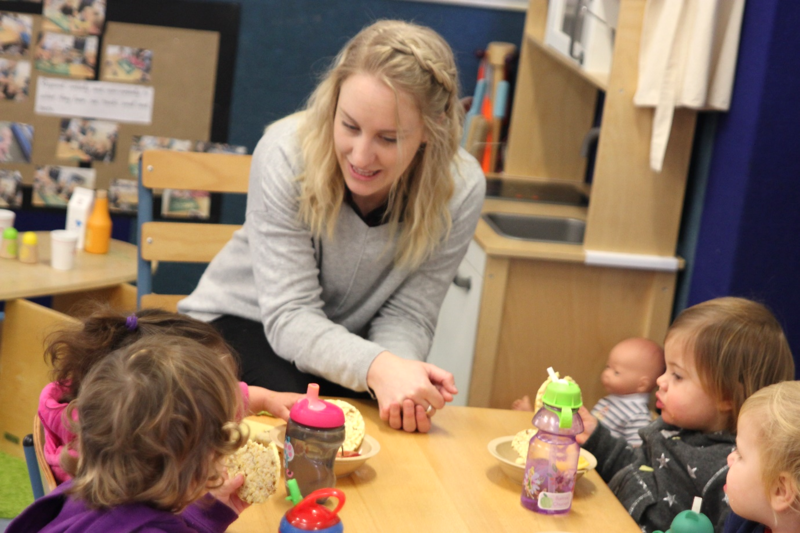 Relationship building opportunities: Are educators able to sit with children at mealtimes or is attention focused on simultaneously serving, cleaning, supervising, setting up environments or doing paperwork? Quality interactions and relationships need quality time and attention. 3. Do mealtimes promote holistic health? 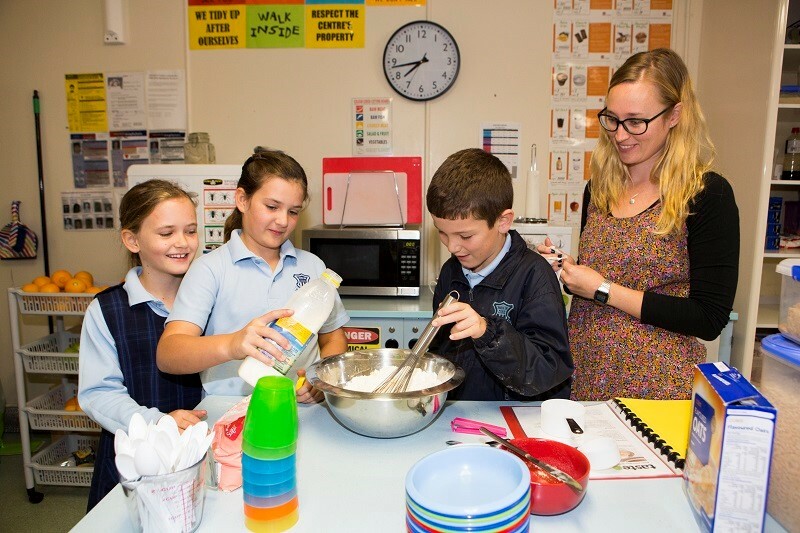 Healthy eating is integral to promoting children’s health (NQS Quality Area 2), with physical, social and emotional health all being nurtured by positive meals times. A healthy menu (or healthy food brought from home) provides a firm foundation for health. For holistic health, the healthy menu needs to be provided safely and in a health-promoting environment that also considers social and emotional health and wellbeing. The mealtime environment, relationships and staffing are important influences. Ensuring the menu reflects the needs of the children and community. 4. Are mealtimes a part of the educational program? Positive mealtimes offer immense opportunity for each child’s learning and development to be enhanced and extended (NQS Quality Area 1). their world (Pancakes are made from wheat. When I have food in my mouth I don’t try and talk at the same time). Connecting the mealtime environment to the kitchen, garden and waste processing also supports learning and development. 5. Does staffing organisation and leadership promote positive mealtimes? Positive mealtimes require supportive staffing arrangements (NQS Quality Area 4) and effective leadership (NQS Quality Area 7). For mealtimes to be social, responsive, pleasurable, safe and educative, educators need to be seen as an important part of them. Staffing at mealtimes can be challenging as staff responsibilities and meal breaks are juggled. Positive mealtimes that are embedded in practice are visible in policies, procedures and programs, and guided by the service philosophy. ACECQA’s Quality Support Program Team outlines the importance of articulating practice and provides practical tips to assist educators articulate the achievements and strengths of their service and team members during assessment and rating visits. As an educator, your contribution to your service’s assessment and rating visit can really make a difference. The visit is your opportunity to highlight what your service and educators do well, celebrate your strengths and achievements, open conversations about the quality of your programs and practices, and gain valuable feedback. Many will be thinking that this is easier said than done. After all, one of the things that many educators find difficult is communicating to the authorised officer all that your service does well, and how practices provide quality outcomes for children and families. This is the skill of articulating practice. In fact, educators articulate practice on a daily basis. They talk with and about children and their knowledge, strengths, ideas, culture, abilities and interests. They also discuss children’s learning, their social and emotional development, wellbeing, and friendships. Articulation is generally understood to mean the act of expressing something in a coherent, understood way. Articulation in education and care is essential to building relationships with children (Element 5.1.1) and collaborative partnerships with families and communities (QA 6). It is through these conversations and relationships that educators gain an understanding of, and build on, the strengths, aspirations and priorities of children and families. This in turn makes your education and care programs, practices and policies meaningful, inclusive and child-centred. Authorised officers are trained to follow an ‘observe-discuss-sight’ method at the visit to gather evidence to support a rating against the NQS, including compliance with the National Law and National Regulations. While authorised officers may ask questions to gain more information and examples, it is important to think about what you would like to discuss and which examples highlight how the educators, service leaders and team are meeting or exceeding the NQS. The term ‘discuss’ is used in the Guide to the National Quality Framework to provide opportunities for respectful two-way conversations between authorised officers and the educators or service leaders to identify examples of quality practice that align with the NQS. Support your educators to build on and become confident in their knowledge of the NQS, the relevant Approved Learning Framework/s and your Quality Improvement Plan. Hold regular meetings, reflective sessions and, if relevant, professional development workshops to discuss these topics. A good working knowledge of these fundamentals is a basis for providing quality outcomes for the children in the service and their families. This knowledge will, in turn, provide educators with the ability to look at practices in the service and articulate them in the context of these documents. Tip 2 – Practice articulating practice! Start talking about the service philosophy and how it informs decisions, along with discussing the ‘what’, ‘how’ and especially the ‘why’ of practices. Talk to your families, children, each other, management and the community. Team meetings are a good opportunity to have these discussions with other educators and it can be useful to add ‘quality practice’ and ‘reflective practice’ as regular agenda items. The reflective questions in the Guide to the NQF can be used to provoke discussions in these meetings. You can use techniques such as brainstorming or mind mapping to document what quality at your service looks like in a Standard or Element and to discuss how your service is performing. Ongoing self-assessment against the NQS and related regulatory requirements drives continuous improvement and is essential to providing quality outcomes for children (Guide to the NQF, p.316). As part of your self-assessment, identify what an authorised officer might observe, discuss or sight about the quality of your service practices and programs. To do this, “step into the authorised officer’s shoes” and take a walk around your service or in your family day care (FDC) office and educators’ homes. How the environment is planned and organised, taking into consideration the need for safe, yet challenging spaces. How FDC educators balance their family members’ need for privacy with providing sufficient space for the children who are educated and cared for. What regular safety checks are in place, as well as maintenance monitoring of the building and equipment. How natural environments are valued at the service and plans for outdoor and indoor environments are given equal consideration. The way in which children are invited to choose resources. How children and educators are supported to engage with and respect the natural environment on a regular basis. Many more examples of what authorised officers may observe, discuss and sight for each of the quality areas are in the Guide to the NQF. It is important to ensure that the language you and your educators use during a visit is both authentic and makes reference to the language of the NQS. This helps demonstrate familiarity with the NQS and will show the authorised officer your service’s commitment to quality outcomes. Confident and effective articulation of practice at your service’s assessment and rating visit is an attainable goal. An investment of time and the ongoing commitment of the entire team is certain to reap benefits. As a new year starts, children, educators and staff are returning from breaks, new families are joining education and care services, and children are transitioning between groups, rooms or service types. It’s often a busy period of adjustment and organisation – and a significant time for building relationships, and creating learning environments where each child can feel included and supported. Why do educator-child relationships matter? Research shows that high quality educator to child relationships and interactions are key elements to create a quality education and care environment. 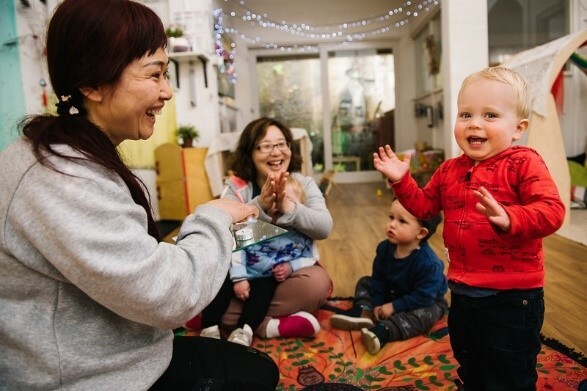 These are significant influences on children’s social and emotional development – actively contributing to positive learning, development, wellbeing and future life outcomes. Developing relationships with children is an important component of the National Quality Standard (NQS). Quality Area 5 focuses on educators developing responsive, warm, trusting and respectful relationships with children that promote their wellbeing, self-esteem, sense of security and belonging. Respectful relationships with children and families help educators find out more about each child’s strengths, ideas, culture, capabilities and interests. This knowledge supports provision of responsive learning environments and quality child-centred educational programs and practices. This maximises opportunities to enhance each child’s learning and development. When children experience nurturing and respectful relationships with educators they develop an understanding of themselves as competent, capable and respected, and feel a sense of belonging. This helps children feel safe, secure, and included, and helps them grow confidence to play, explore and learn. Gaining each child’s trust and making an effort to get to know them well is an ongoing process of relationship building, and extends far beyond simply being friendly. A new year brings the opportunity to critically reflect on how respectful, trusting educator-child relationships are developed and maintained within your education and care service. Evaluating the success of your existing policies, procedures and practices can help identify and affirm strengths and highlight possible improvements to better support each child to feel secure, confident and included. Regularly revisiting requirements and key guidance documents helps ensure these strengths of your service remain a priority and grow stronger over time. These key guidance documents provide valuable suggestions for educators as they develop responsive, warm, trusting and respectful relationships with children. The Education and Care Services National Regulations require education and care services to have policies and procedures about interactions with children (reg. 155, 156 and 168). The start of a new year is a good time to review and evaluate how your policies are reflected in service practices, and how they actively promote relationships with children that are responsive, respectful and support children’s sense of security and belonging. For example, how your service’s policies are informed by your service’s philosophy, and guide its enrolment and orientation procedures. The Guide to the National Quality Framework (NQF) is designed to help education and care providers, service leaders, educators and authorised officers understand and apply NQF. The guidance for the Standards and Elements within Quality Area 5 provide valuable suggestions for the way that educators can work with children to support their current wellbeing and their future development. The ‘questions to guide reflection’ are a useful tool for reviewing and evaluating your current practice. National approved learning frameworks support education and care services’ reflections on how the elements, principles, practice and learning outcomes guide knowledge and practice. 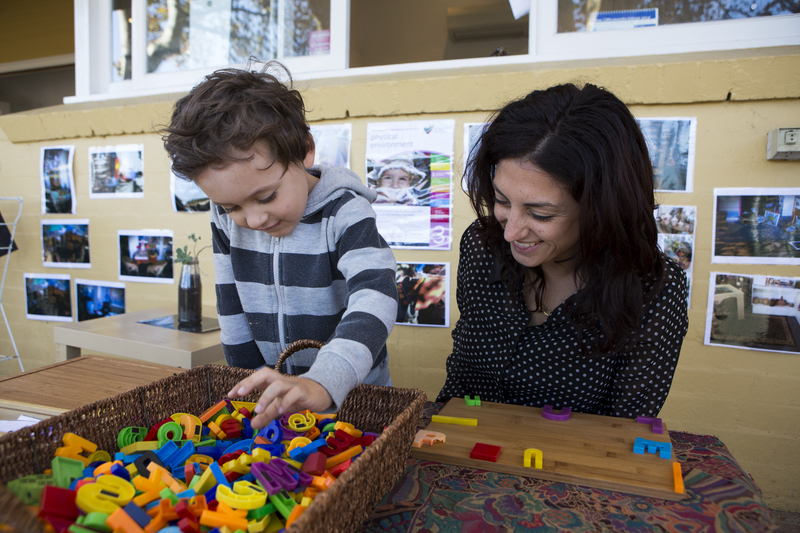 Early Childhood Australia’s (ECA’s) Code of Ethics provides a framework for reflection on ethical responsibilities of education and care professionals, and a collection of statements offering guidance about educators’ practice and relationships with children. What are all the ways that you get to know each child well? How do children demonstrate a sense of belonging, security and comfort? Does your service philosophy support a commitment to building relationships with children? How does this inform your service policies, procedures and everyday practice? ACECQA’s National Education Leader, Rhonda Livingstone provides insights into National Quality Framework topics of interest. Year-end is a time for celebration, as we reflect on accomplishments and progress across the last twelve months. In a busy education and care service, progress can sometimes be difficult to see or feel in a tangible way. What is progress? What counts as progress? How do we measure progress or success? Progress is generally considered to be a measure of how well we are moving towards improvement or defined goals. 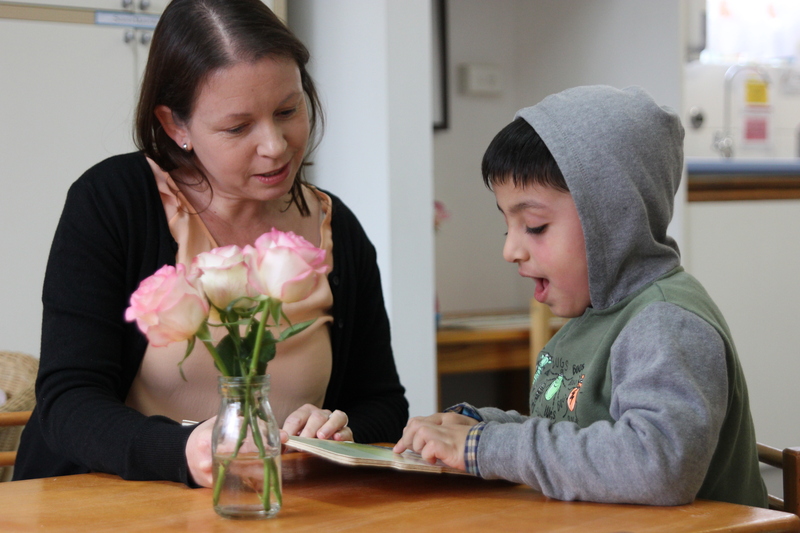 In quality education and care, our overarching goals are positive outcomes for children and families. What counts as progress towards these outcomes can involve a multitude of factors. For example, progress could be seen though factors such as children’s learning, family belonging, stability of educators and through children’s wellbeing. These factors can all improve positively over time and are valid ways to assess your progress towards defined goals. If these factors are not improving over time, it provides an opportunity to critically reflect on your practices and consider any changes needed. Using just one factor, such as family belonging, to measure progress may not capture all of the rich ways in which outcomes for children and families are being achieved by your service. Just one factor can be important, but it won’t give the complete picture. Internationally, measurements of progress are shifting to a holistic perspective and moving beyond one simple measure. For example, the Australian National Development Index (ANDI) aims to measure Australia’s progress by twelve domains, such as wellbeing, education, health and the environment, not just simply by economic gross domestic product (GDP). This recognises the many factors that contribute to community development and sustainable wellbeing. Similarly, progress in education and care can be reviewed and celebrated using a holistic lens. The seven quality areas of the National Quality Standard are a great starting point. They capture the diverse and important components of quality education and care that deliver positive outcomes. It’s important to recognise and celebrate the important contributions that educators, service leaders, staff and approved providers make in the lives of children and families. It is timely to identify and celebrate the contribution of you and your colleagues. As the year draws to a close, I encourage you to find time to pause to consider how far your service and the children, families and staff of your community have travelled this year. It’s important to celebrate the progress that you are making to give children the best possible start in life. The ideas and questions attached in this table offer a starting point. Review and celebrate your 2018 service journey. How far have you travelled? I wish you and your teams a very well deserved break over the summer, and am looking forward to hearing more about your celebrations and achievements in the New Year. ACECQA’s National Education Leader, Rhonda Livingstone shares her insights into National Quality Framework (NQF) implementation in services. In the October ACECQA Newsletter, we discussed articulating practice to build a shared understanding of quality education and care with families, colleagues and communities. This month, we’re continuing this discussion to build the capacity of educators and teams to articulate their practice through a professional learning community. A hallmark of an effective professional learning community is when educators, educational leaders and management help, inspire and learn from each other to continually improve quality programs and practices in the service. It’s a way of building collaboration and mutual respect within a team that develops their confidence. Quality Area 4 – Staffing arrangements of the National Quality Standard (NQS) defines collaboration as ‘staff being encouraged to respect and value the diverse contributions and viewpoints of their colleagues’. In a collaborative professional learning community, team members share resources, give constructive feedback, and work respectfully and professionally to solve problems. They’re guided by a code of ethics (such as the Early Childhood Australia [ECA] Code of Ethics), the service’s code of conduct and service philosophy. Standard 4.2 – Professionalism describes relationships between service staff, educators and management based on mutual respect, equity and fairness. Professional learning conversations encourage team members to communicate effectively and respectfully to promote a positive and calm atmosphere. Each team member brings their own strengths, understandings and interests. Engaging in conversations gives them common ground to share ideas, pedagogical beliefs, knowledge, and opportunities for improvement at the service. A professional learning community allows team members to discuss how they’re delivering programs, practices and policies and research and theories informing them. Regular discussions that value everyone’s input further develops skills to improve practices and relationships. Regular formal and informal team discussions also help build educators’ skills and confidence articulating why and how they provide quality education and care. This is an important part of their ongoing communication with families, other educators and professionals, authorised officers and the wider community. An effective professional learning community may differ from a typical team meeting. It’s a structured process led by a nominated supervisor, an educational leader or another person who has or is developing leadership skills in this area. The leader’s role is to facilitate and create a safe space for educators and the team to discuss a wide range of topics, as well as their own feelings, beliefs and any challenges they may be facing. Reflective questions encourage deeper thinking about individual and group practices. The Guide to the National Quality Framework provides a list of questions to guide reflection on practice for each standard to promote these discussions. demonstrate a high level of collaboration, including affirming, challenging, supporting and learning from each other. Professional learning communities encourage educators and teams to work towards common goals for the children, families and the wider education and care community. Teams who actively develop shared goals are more likely to develop a sense of ownership and responsibility, supporting effective implementation. Teams with this sense of shared purpose also develop decision making processes informed by professional standards, including the service’s code of conduct and code of ethics. Collaborating on ethical decision making processes helps educators and service leaders consider a decision’s impact on daily practice and relationships, and articulate its rationale. Many of us might remember being told that ‘practice makes perfect’ when we were children. Being part of a professional learning community, and being given the opportunity to share ideas and thoughts in a safe space, allows educators and team members to practice and improve their articulation skills. This helps prepare them to confidently and skillfully tackle challenging issues and questions that arise as we provide quality education and care to children attending our services. It also helps them confidently showcase their unique program and practices and the amazing learnings occurring in their services every day to families, community, authorised officers and education and care professionals. How does our approach to professional collaboration align with our service philosophy, policies and procedures? Do our professional conversations demonstrate self-awareness of the ethical and professional standards underpinning our practice? How does our community influence the way we articulate our practice, with them and for them? Many educators, educational leaders and service leaders are using professional learning circles to inform practice changes to improve children’s learning outcomes. Leading Learning Circles for educators engaged in study is a helpful framework. I encourage you to share your rich stories of success and challenge with us on Facebook, Twitter or in the comments section below. They might inspire others to start a professional learning circle, and I look forward to reading about them and continuing this conversation.